Me and Ethan of The Hatchet City All-Stars. The Motorcity Machine Guns!!! That is their signatures on there as well. Alex Shelley is the purple marker and Chris Sabin is the brown marker. And Chris Sabin is the nimrod that signed over his own character. He's a good guy though. This is a tag I made for myself in paint. Ok about me... I'm obsessed with professional wrestling *looks at page* and I believe that is very clearly shown. You can call me Tessa, Kitty, Alice, The Motorcity Machine Gun Girl, The Hatchet City All-Stars Girl, or Skittles. I love music. I play video games. I love the Rocky Horror Picture Show live. I like horror movies. I draw as a slight profession. I'm a freelance artist. I love mythology and the Urban Legends. I make some of my own clothing. I am friends with a few bands and professional wrestlers. I am on tv on TNA iMPACT!. If you want to know anything else just ask me. Me and Chris Sabin. He is the best! 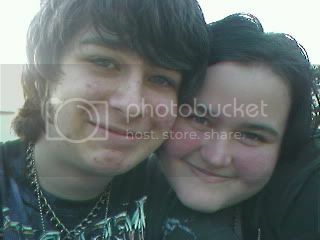 This is me and my boyfriend. I like how this pic came out. I shall call him... Sabintron. 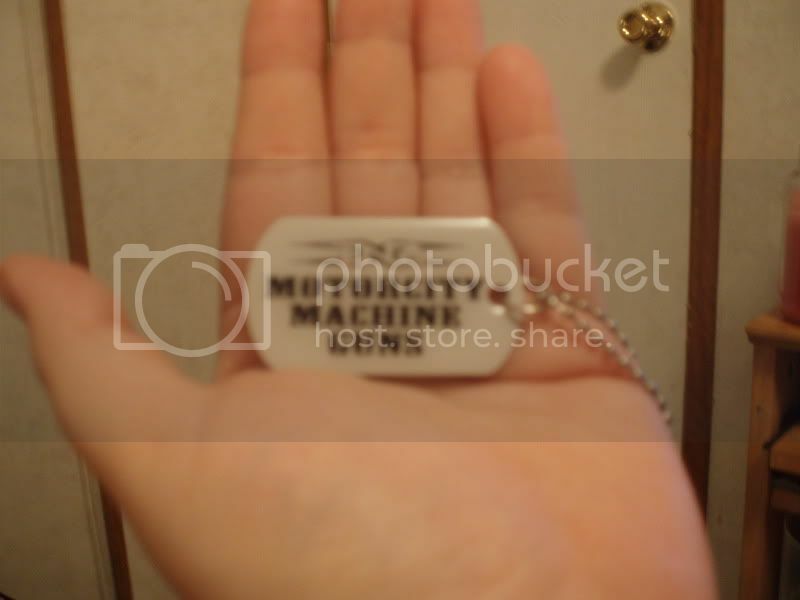 Chris Sabin's dog tag that he gave me. He actually wasn't supposed to give it away but I'm just so good I got it. Actually he had promised me so he gave me it finally. 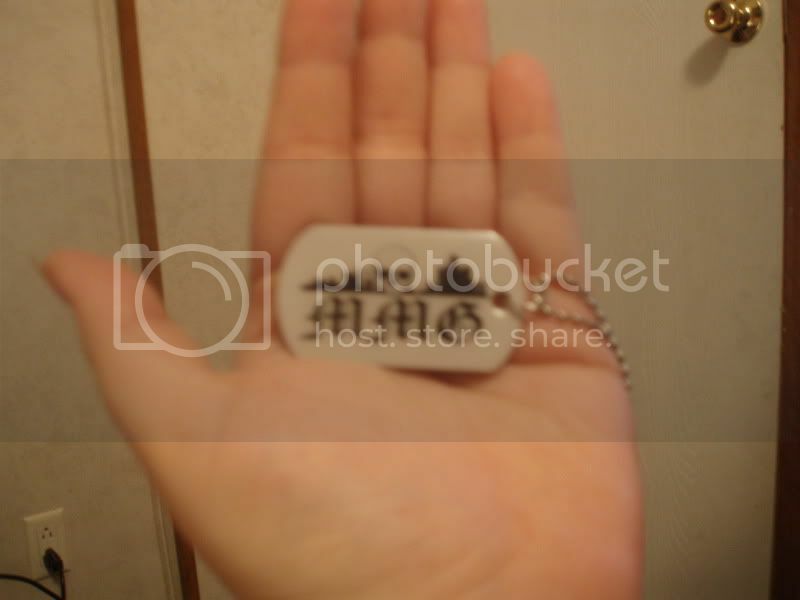 I'm working on getting Alex's military issue dog tags now. I wanted to say this though I doubt anyone will really read it. People say they are "original". How can you be "original" when everything you think of and have thought of (or done), some one else has thought of (or done)? So if you thought of something (or done) then have you not copied another? So are you ever really "original"? The same thing goes for being "different". Everyone is trying to be "different" but by trying to achive this goal, don't many of you copy or look like someone else? So are you ever really "different"?